"Now you can really see my winning smile." "Not to be mistaken for any other greyish, shiny metal." 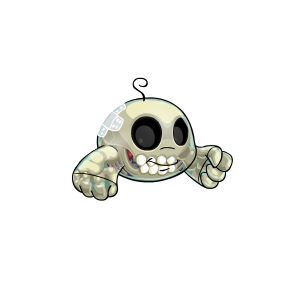 Transparent: This might just be my favorite Transparent pet yet! They actually managed to get somewhat logical anatomy in there, and the shading is really gorgeous. The best part of this in my opinion is the way the artist kept the mouth lineart to show where the lips are. (All other transparent pets have it erased.) The bandage is also handled really well. Silver: This also has pretty nice shading, which we've come to expect from this color. 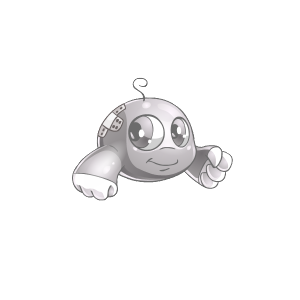 Plenty of nice tones and a pretty metallic look over all makes for a pretty good Silver pet. The bandage looks pretty flat compared to the rest of the pet, however.